Follow the steps in this article to setup your new Insteon Hub. Connect your Hub to the internet and a power outlet using the cables provided. Avoid switched outlets or power strips. Download Insteon+ from the App Store. 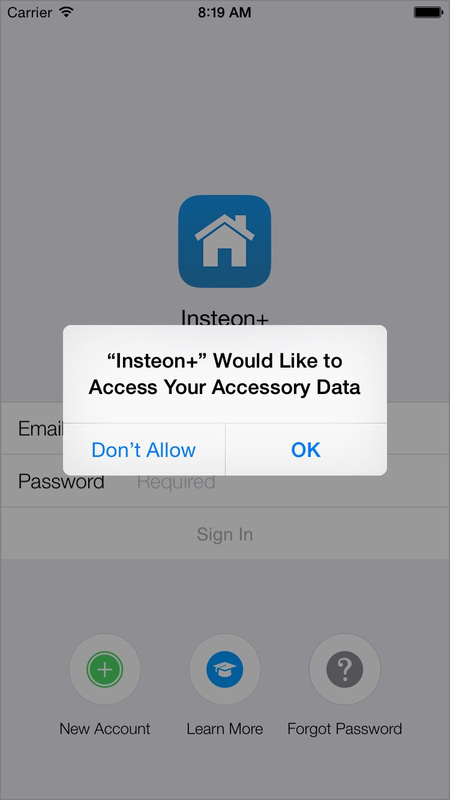 If prompted, allow Insteon+ to access your HomeKit accessory data. If you decline, Insteon+ will be unable to manage your home. You can change this setting from the Privacy Settings on your iPhone, iPad or iPod touch. 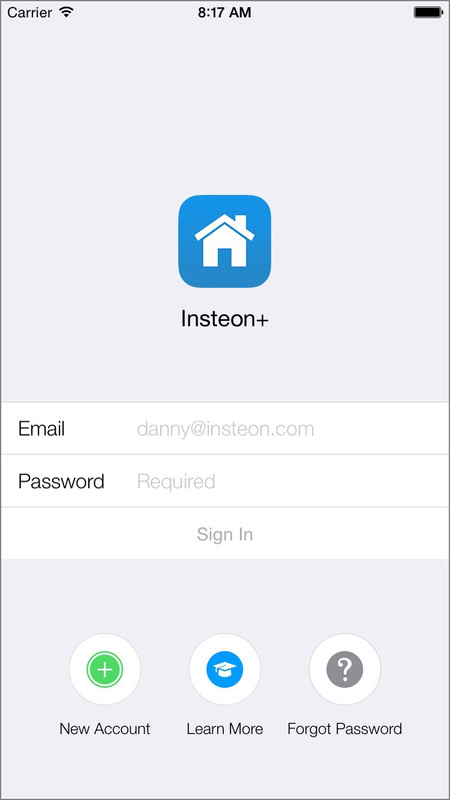 Create an Insteon account. If you already have an Insteon account, sign in. Tap Insteon Hub at the bottom of the screen. If your Insteon Hub doesn't appear, ensure it is connected to power and your WiFi router. It may take several minutes after connection for Insteon Hub to appear when searching for devices. Enter the 8 digit Accessory Setup Code found on the quick start guide included in the box or on the bottom of Insteon Hub. Finish up by giving your Hub a name and picking an icon.